[Shell to Sea] Interesting that Mary Robinson would travel to Dubai to help her friends in high places but wouldn't travel 50km down the road to support a community fighting for their human rights against an energy giant - More info here. There’s a saying in show business that you can spend 20 years becoming an overnight star. In politics, the same is true in reverse, as the sad case of Mary Robinson and Princess Latifa of Dubai shows. In a world of Trump, Le Pen, Salvini, Bolsonaro and numerous others, the likes of Robinson have stood out as beacons of hope. To the world outside Ireland, she distinguished herself in her seven years as president, and went on to serve five years as the UN high commissioner for human rights. As a young law student at Southampton University, she was someone I found inspiring. 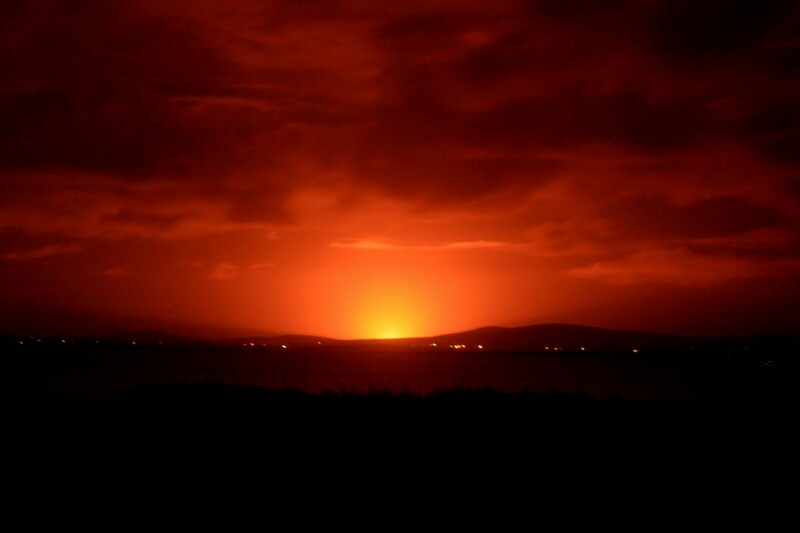 The state could have faced liabilities of many millions of euros if there had been an accident at the Corrib gas field at any time in the past 16 years, it has emerged. An oversight meant there was no power to make Royal Dutch Shell, the project’s largest shareholder, pay compensation. Correspondence obtained by The Sunday Times reveals that while reviewing Shell’s proposal to sell its 45% stake in the Mayo gas project for €830m last January, the government discovered that Royal Dutch Shell, the ultimate parent company of Shell Ireland, was not registered as a guarantor, as required under its lease. A parent company guarantee (PCG) is required to give an unlimited assurance that any costs arising from a problem at the gas field and processing terminal, such as an environmental disaster, would be covered.